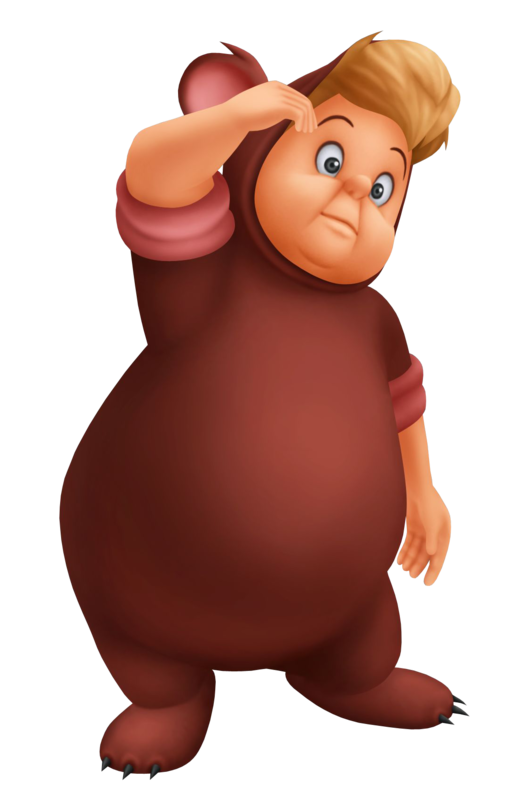 Cubby is a member of the Lost Boys who live in Neverland and will never grow up. They live underground between the roots of a tree. As Peter Pan is their leader it's no surprise the Lost Boys are constantly playing pranks and causing mischief. True to his name, he's always clad in bearskin. Along with Slightly, they first encounter a keyblade wielder when they find Ven lying on the ground while they were searching for a shooting star they saw fall. They wake Ven up and search together for the shooting star, which turns out to be Mickey's star shard. When Terra comes to Neverland, the he and Slightlymake an attempt to swipe Hook's treasure but is are stopped by Terra as he guards the treasure in Skull Rock. Finally, when Aqua arrives, Cubby, along with Peter Pan and Slightly, elect Aqua as their leader as they searched for the treasure once again.